Living Abundantly Ministries officially started on June 1, 2004. Living Abundantly Ministries founder, Cullen Manny, had decided to partner with an existing after school program in East Lubbock to help them build stronger connections to the churches in East Lubbock. God obviously had other plans! On May 16, 2004 Cullen shared his call to ministry with his home church, Aldersgate Church. A fellow member of the church, Kevin Booe, informed Cullen about a guy named Ellis Dean who was helping facilitate a sports camp coming to East Lubbock later that summer. Cullen met with Ellis at the end of June, and agreed to help with the sports camp. Ellis then took a full time job, and Cullen was left with the responsibility of preparing for camp. 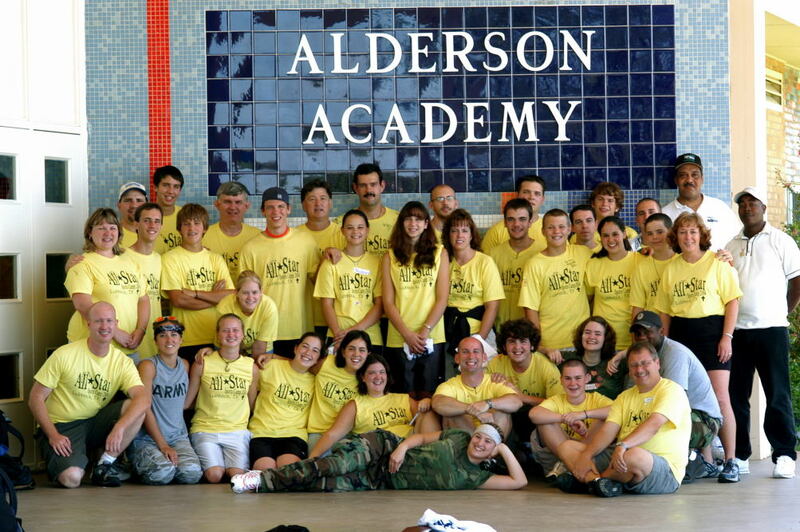 In July 2004, Christian Adventurers from North Carolina arrived in Lubbock, and the very first sports camp was held at Alderson Elementary. That first camp had just under 250 in attendance. The rest of the first year of ministry, Cullen spent time connecting to organizations and churches in the community. Cullen visited different churches in East Lubbock on Sunday mornings. Some of the churches included that first year was Agape Temple COGIC, Lyon’s Chapel Baptist, 1st Progressive Baptist Church and Community Baptist Church. Cullen preached his first sermon at 1st Progressive Baptist in November of 2004. 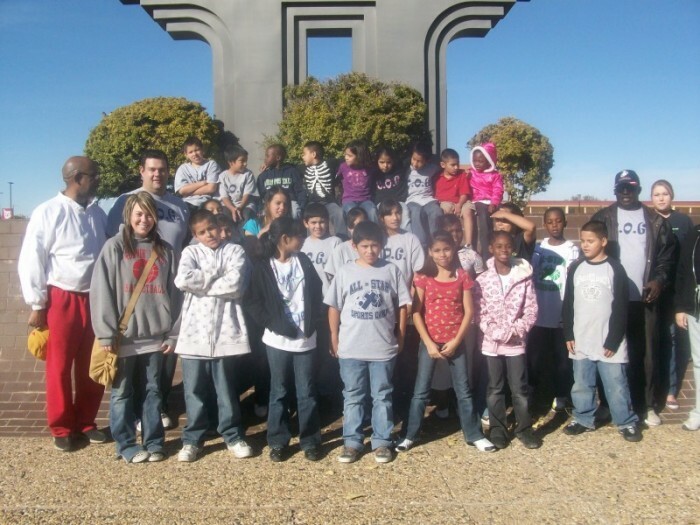 In 2005, our founder began substituting in the Lubbock ISD schools. He started as a long term sub at Guadalupe Elementary. The principal asked him to coach the girls and boys basketball teams in the neighborhood basketball league. The girls’ team did not do well, but the boys’ team won the league tournament. During his time at Guadalupe, Cullen got to see firsthand the situations that many children that Living Abundantly hoped to impact were living in. He also made key friendships with some of the families in the school, as well as the staff of the school. One teacher served on the Board of Directors, and two other teachers volunteered in the ministry. In the summer of 2005 Christian Adventurers returned to help with the All-Star Sports Camp. The camp moved to Dunbar school where it stayed through sports camp 20006. In 2005, more local churches became involved with the sports camp, and the ministry continued to be healthy and grow. Christian Adventurers would return in 2006 to help with the 3rd sports camp. In the fall of 2005, the ministry felt led to start a new program in the ministry. The ministry saw how the children at sports camp bonded with the volunteers from the community, but there was nothing in place to foster a connection that lasted through the year. The Children of God (C.O.G.) program was launched. That fall the activities were attending a Texas Tech football game, the corn maze in Shallowater, TX, and making Christmas ornaments then taking them to the Children’s Hospital at UMC. In the early part of 2006, C.O.G. began meeting on a more regular basis, and had a family dinner on a Saturday night at Asbury United Methodist Church in Central Lubbock. In the March of 2006, Living Abundantly began renting space from HOPE Community of Shalom which managed the building of Asbury UMC. Living Abundantly Ministries stayed at Asbury/ HOPE Community through the end of 2012. In the spring of 2007 through different circumstances, Living Abundantly Ministries felt called to host the All-Star Sports Camp without the assistance of Christian Adventurers. That year the sports camp featured more songs that connected more with the worship style seen in the East Lubbock Churches, and also focused all activities at the All-Star Sports Camp around a central theme. The theme that year was Face Your Giants based on 1 Samuel 17:47. Ever since then, the All Star Sports Camp has operated each year with a central theme. Themes have included (in order from 2007 –2015) Running with a Purpose 1 Corinthians 9:24-27, Join the Winning Theme Matthew 16:18, Becoming an Extreme Christian Romans 12:2, Feel the Power Romans 1:16, Faith Adventures 2 Corinthians 5:7, Be Courageous Joshua 1:9, Chasing the Heart of God based on 1 Samuel 13:14, and Follow the Leader Matthew 4:19. In the spring of 2009, Cullen felt called by God to launch a new aspect of the ministry. The idea of the program was to deal with topics that were relevant to issues that teenagers face. The new program was called GYM & GYL which stands for Godly Young Men & Godly Young Ladies. Topics covered in GYM & GYL include leadership, self-esteem, money, jobs, anger management, forgiveness, friendship, bullying, dating, sexual purity, purity of mind, and alcohol and drugs. The first session of GYM & GYL took place during the spring semester of 2010, and were fortunate to have 4 young men and 2 young ladies to complete the program. The first graduation was held at the offices of Betenbough Homes. GYM & GYL has taken place each semester since 2010. Group sized has ranged from 3 – 12 members, and we just finished our 9th session this May, with 5 young ladies completing the program. One of the vital things that Living Abundantly Ministries has sought to do is to build relationships with local churches in the communities we are trying to impact. Since the beginning of the ministry, our director has attended over 25 churches in different parts of Lubbock. Our director has been asked to preach at the following churches: 1st Progressive, Agape Temple COGIC, Mt. Vernon UMC, Rising Star Baptist, New Millennium Baptist, and Asbury UMC. On February 14, 2010 Pastor Gleen Samuels of New Millennium Baptist Church licensed our Director of a Minister. In the summer of 2012, our director again felt the Lord leading to begin thinking about a new aspect of the ministry. Our director had stopped the C.O.G. program in the spring of 2012 due to a lack of volunteers as well as the realization that the program was not accomplishing the purposes of helping the participants build a strong foundation of Christ for their life. In preparing for sports camp that summer, our director felt the need to begin creating a program where we would have ongoing regular contact with children from sports camp throughout the year. This aspect of the ministry is called HIMpacT. It has been slow getting this program started, but we are planning on begin to do some regular outreach and followup efforts. This is a history of Living Abundantly Ministries. It has been a great journey, a great adventure in faith. There have been good times and there have been rough times. One thing has remained the same, that God is still on His throne, and He has provided all we need, and He will continue to provide for us as long as we stay focused, and humble before Him. In closing, here are some numbers. In the All-Star Sports Camp we have reached just over 2000 children since the camp began in 2004. This number is counting children who attended multiple years only once. There were over 75 children who attended C.O.G. during its existence, and there have been over 50 teenagers who have completed the GYM & GYL program.